Which current Bulldog was unlucky to miss out? 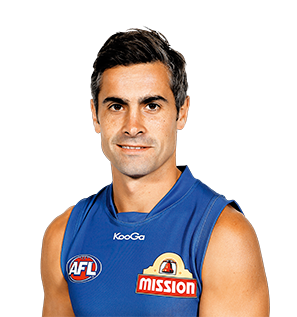 Club Veteran Daniel Giansiracusa has played a vital role in the Bulldogs forward line – with stints in the midfield - during his 13 year AFL career. Highly respected around Whitten Oval, he has adopted a mentoring role in the twilight of his career, with his experience proving very beneficial to the young, emerging playing group. The veteran forward enjoyed a consistent season in 2013. 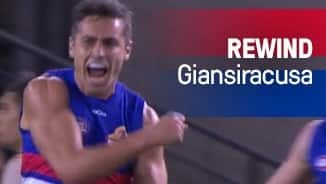 Giansiracusa was again productive in front of goal, kicking 36 majors to lead the Club and register the second-best goalkicking season of his career. Giansiracusa also led the Bulldogs for inside 50 marks and shared the ball around with the second most goal assists in the side. Stellar efforts abounded, including 28 disposals, eight marks and two goals against Hawthorn. With 20 high quality games in 2013, including a memorable 250th, Giansiracusa signed a one year contract extension at the end of the 2013 season, confirming he'll take to the field again in 2014 and transition to a coaching role at the club in 2015. Giansiracusa may be entering the final year of his on field career but his recent form in front of goals confirms he can still be a valuable contributor in 2014. Kicking multiple goals on 13 occasions this year, the veteran led the Bulldogs in front of the big sticks for a second consecutive year. Providing an experienced head in the Western Bulldogs forward line, Giansiracusa’s reliability around goals was imperative in 2012. In the 17 games he goaled on all but one occasion, while contributing multiple majors on eight occasions. He finished the year as the Club’s leading goal scorer. The experienced flanker/midfielder produced another standout season, kicking a career-best 45 goals. Played 20 games, averaged 18.2 possessions and was second at the club in marks, with 114 at an average of 5.7. One of the club’s most experienced leaders and still at the top of his game.